When we say “work bag” do you automatically think “man purse”? Well cut it out! The kind of bag you need for the office couldn’t be less like a purse. 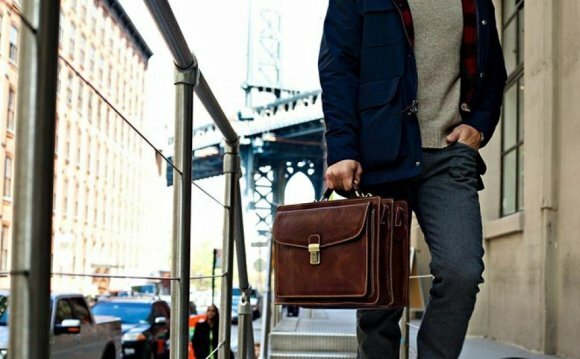 Your dad didn’t have a problem bringing a briefcase to work, did he? You never heard him say, “A briefcase? What am I, a lady?” Of course not! Because he knew he needed something stylish and user-friendly to transport his work supplies to and from the office. In today’s world, with even more things to lug around—wallets, iPhones, iPads, umbrellas, et al—a work bag has never been more essential. And with all the thought and creativity you’ve put into your outfit—being well versed in the 16 Style Essentials Every Guy Needs—shouldn’t your work bag live up to those standards? Whatever your work bag needs, here’s a pick for every style and price point.